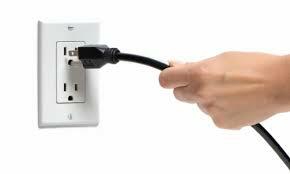 Home / Tech news / Why you should unplug electronic devices when they’re fully charged. For different reasons, devices ranging from mobile phones, handheld game consoles to laptops are not unplugged from wall brackets when they are done charging. In parts of the world where electricity is not stable, the fear of low batteries make users fail to stop charging even when the device is fully charged. reason for staying steadily connected, this practice can be harmful to the person and damage the device. 'Overcharging' in itself is a long discarded myth that does not apply to modern day batteries, you do not have to really worry about it. But there are still dangers associated with leaving devices plugged in. Without delving too much into technical jargon, here are a few things to consider when next you fail to unplug a fully charged device. The memory effect only occurs in Nickel Cadmium cells also known as NiCad batteries. Nickel Cadium cells are what rechargeable finger batteries, laptop batteries and some handheld game console batteries are made of. To maintain the battery life, it really is advisable to unplug your laptop from power when it reaches full charge. However, as earlier mentioned, this problem is only limited to older model batteries, so this leads us to the next point. Damage and possible combustion Lithium-ion batteries are all the rave these days. Most new devices are powered by these new generation batteries and unlike NiCad batteries, they are more efficient. Generally, they are engineered to be better batteries but the last Samsung Note 7 battery explosions have shown that even Lithium-ion batteries are not completely safe. Even iPhones were not left out of this fiasco. battery to blow up or outright catch fire. device is fully charged and avoid a fire.